Stop Ice Dams with Icebreaker! Our heated gutter guards system, the only system that was designed from the ground up to be heated. AmeriGutter has installed thousands of feet of Gutterglove Icebreaker throughout Ma Ct and RI. 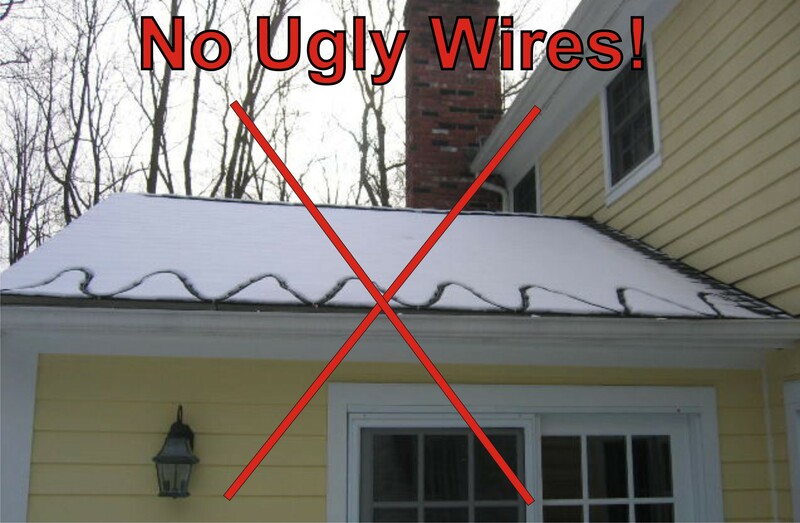 Our customers not only have eliminated the hazel of icy walkways and frozen driveways, but they have also saved thousands of dollars of interior water damage caused by ice dams in the gutters. 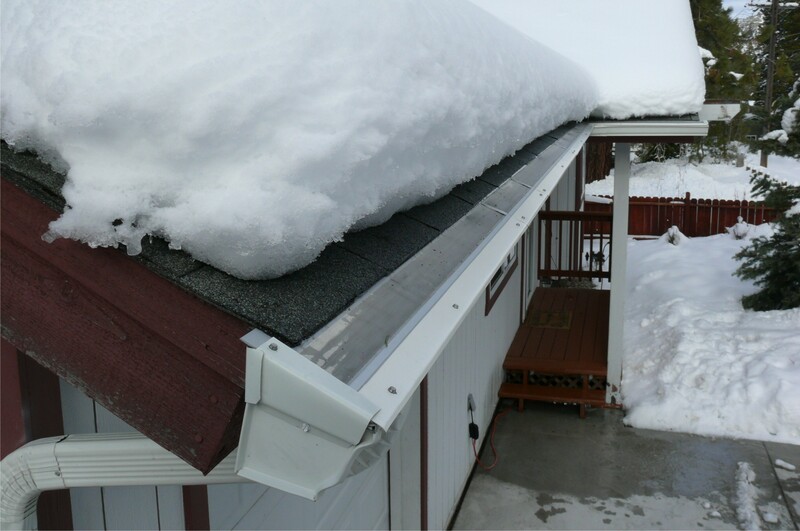 Gutterglove Icebreaker is the only gutter guard that has been designed from the ground up to be heated. All other brands simply slap a wire on there existing guards which were not designed to be heated. It uses a stainless steel filter to keep all debris out like regular Gutterglove but then incorporates a channel in the housing with an industrial strength heat cable can be inserted. The Icebreaker’s housing (which is even heavier than the regular Gutterglove’s housing) acts as a heat sink for the heat cable. The system not only keeps the gutter and guards clear of snow and ice but because the wire runs down the down spouts it keep them from freezing up as well. Gutter heat tape is simply no match. Gutterglove IceBreaker consists of two components; a perforated aluminum channel and type 316 stainless steel mesh. The stainless steel mesh is glued into grooves along both sides of each 5 foot aluminum channel section. It installs on any existing gutter. Gutterglove’s specifications were designed so that it simply slips under the roof shingles and fits snuggly to the front lip of your gutter. Gutterglove should be installed at the same pitch as the roof (up to 5/12) to get the best performance of debris shedding off. 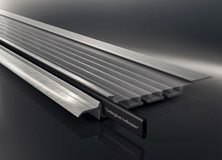 Our extruded aluminum support frame is anodized to further protect it from the environment and to make it more adaptable to be installed on a copper gutter. The anodizing process converts the aluminum surface into an extremely durable, corrosion resistant, and long-lasting finish. Anodizing is also favorably to current governmental regulations because it is one of the most environmentally friendly industrial processes. Since this process is a reinforcement of a naturally occurring oxide process, it is non-hazardous and produces no harmful or dangerous by-products. Anodized aluminum is used around the world as highly durable exteriors in commercial buildings such as one of the worlds tallest buildings, the Sears Tower in Chicago, Illinois. Other revolutionized uses are in scientific instruments, home appliances, satellites in space for harsh environmental protection, staircases in skyscrapers and a host of other uses.